Livingsubmitted by Alexis - Mar 03, 2019 |Recommended: YesGreat Complex. Easy access to stores and in a great location. Right by 121 and great easy traffic. Parking is great and overall a quiet location. Best Apartments Yetsubmitted by Michael - Mar 03, 2019 |Recommended: YesI've been living here for the past few months now. Aside from a few noisy neighbors, it's been one the better complexes I've lived in since moving here. The staff are helpful and supportive and will take the time to listen to your complaints and concerns. Overallsubmitted by JUAN M. - Dec 29, 2018 |Recommended: YesLovely community and staff. I have always been treated with respect by them all. I just love this community. Property is nice, tenants are notsubmitted by Leah C. - Nov 07, 2018 |Recommended: NoI like my apartment but the people who live in this community are not good. Best apartment I have lived insubmitted by Rachyl D. - Nov 02, 2018 |Recommended: YesHome sweet home Everything is updated, I feel safe, and I can’t hear my neighbors.  Home Sweet Homesubmitted by Sina M. - Nov 01, 2018 |Recommended: YesI have been at Mansions McKinney for almost 3 years and as long as I live in an apartment this is where I want to be. Staff is friendly and helpful in every way possible. Great Apartments Staffsubmitted by Kaitlan - Aug 30, 2018 |Recommended: YesNever having lived in an apartment before I didn't quite know what to expect. We chose this complex for the amanities and location which are both stellar. We changed apartments so that we could be closer to the pool clubhouse. We love it. Living by the pool feels more like we are staying at a resort rather than an apartment. The staff is great. We have had minor issues come up here and there but they always get things taken care of right up to the manager herself. They know us, they greet us, they take the time to get to know us. Maintenance is quick and great. The grounds a beautiful and well kept. Customer Servicesubmitted by Industry - Aug 13, 2018 |Recommended: NoAs another industry professional, I have found the interactions I have had with the leasing agents and staff at the Mansions McKinney has been quite negative. There is only one person there that I pray will answer every time I call. This is Jesse. He is always nice. Today the person I was speaking with hung up on me I do hope they treat their residents better than other industry professionals.